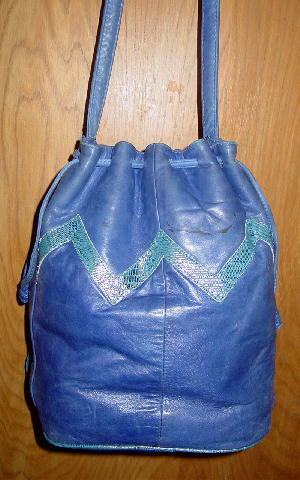 This vintage blue with just a touch of violet leather purse is by Viva of California. 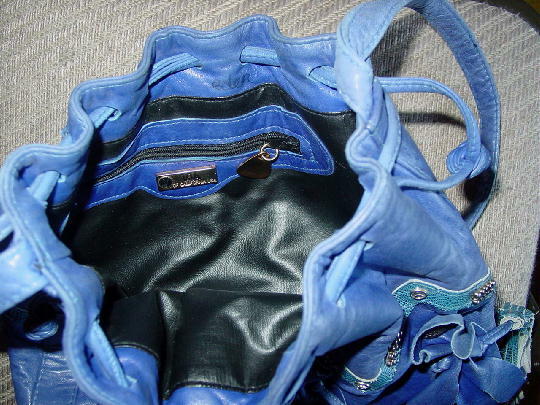 It has a 44 1/4" long by 5/8" wide shoulder strap and a double drawstring top closure. 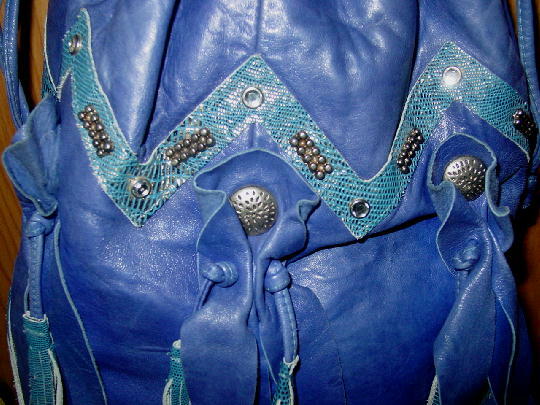 It has an accent embossed snakeskin pattern in blue and gold in a wide V design on the front and back with faux rhinestones and metal beads on the front. The front also has 3 leather multi-strip design accents with a silver-tone metal ornament in the center of each one. 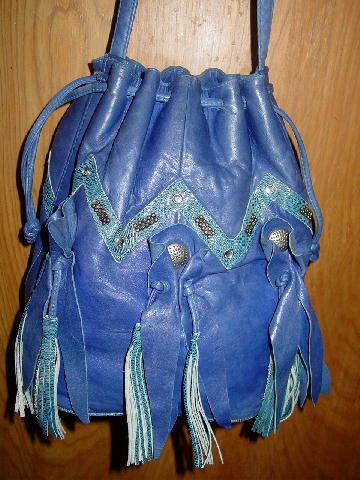 It also has six blue and gold leather tassels on the front. There are black marks and several dots on the back right and left sides above the V and the lower left side. The soft leather does have some scuff marks. The bottom also has a blue and gold cord accent trim. The interior has a black vinyl lining and zippered pocket with a gold-tone logo triangular shaped pull and logo plate on the front of the pocket. Eden wrote her name on the upper back inner side (lightly in black) while sharing an apartment with other models while modeling in New York.